This was taken at my friend Steve’s house (not the band, “My Friend Steve” from Orlando). We had been hanging on the pool deck most of the day and I kept eyeballing this waterfall into the pool thinking it might make a good picture. 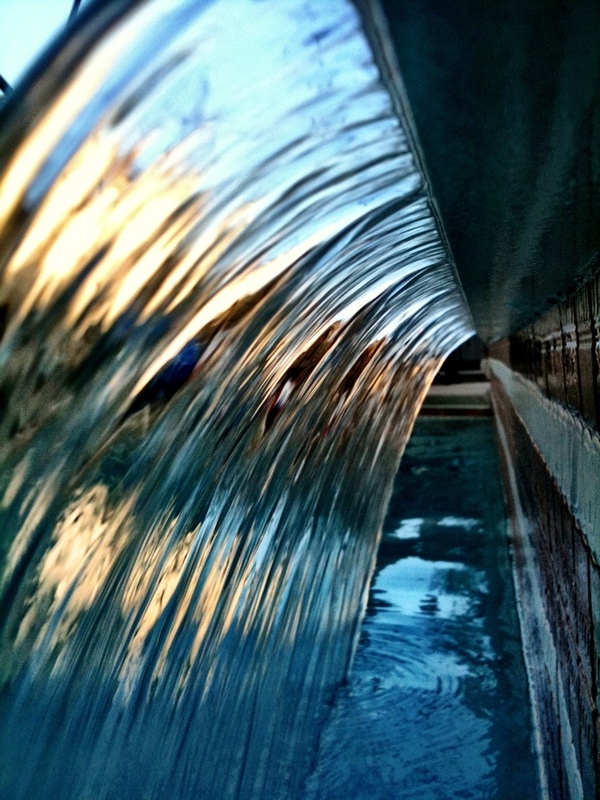 Eventually I headed over with my phone, layed out on the ledge of the pool and started snapping pics. I took at least a dozen before I got the shot I was happy with. Thank you Steve.